I love origami. And geometry. And I am loving thisAnthropologie purse with an origami inspired rhino cut into it. 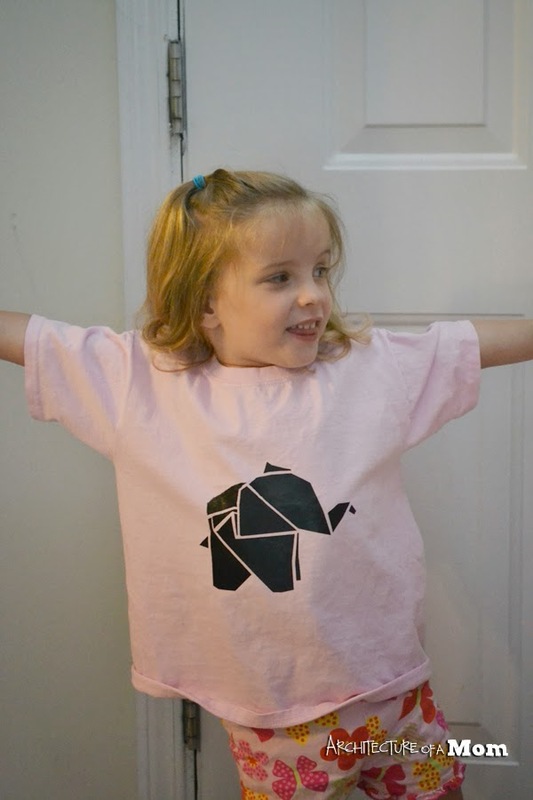 And that, my friends, is what inspired my latest project with my girls: Origami Animal T-shirts. The twins have very different personalities and likes. Take their favorite animals, for example. One little girl has a major thing for elephants. The other one loves animals in general, but eventually we settled on a monkey for her animal. Then came the process of creating images for my Silhouette Portrait to cut into heat transfer vinyl. 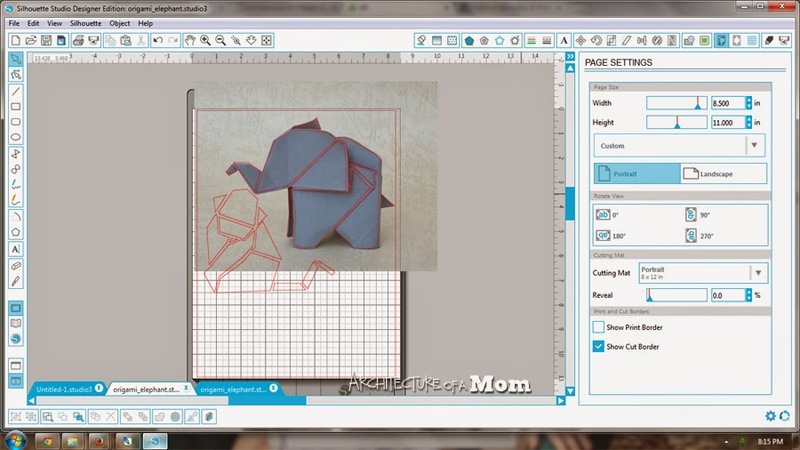 I found some images of origami animals. These aren't high contrast images, so the trace function in the Silhouette Design Studio would leave me a lot of work to do cleaning up the file. So instead, after I imported my images, I simply traced the shapes that make up each animal (they are very simple), leaving a gap between each piece so that each shape reads clearly, almost like a set of tangrams. Then, all that was left was to cut my vinyl. Keep in mind that your animals will end up reversed from how you design them. Once I had the vinyl, I took my prewashed and pressed t-shirts and used an iron to transfer the design onto my shirt.